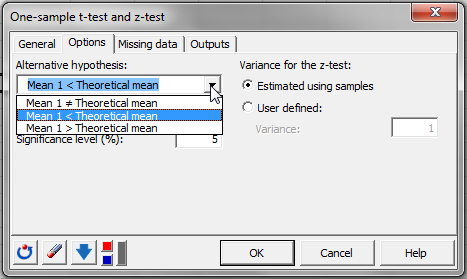 Use the one-sample t-test or z-test to compare the average of a sample to a reference. 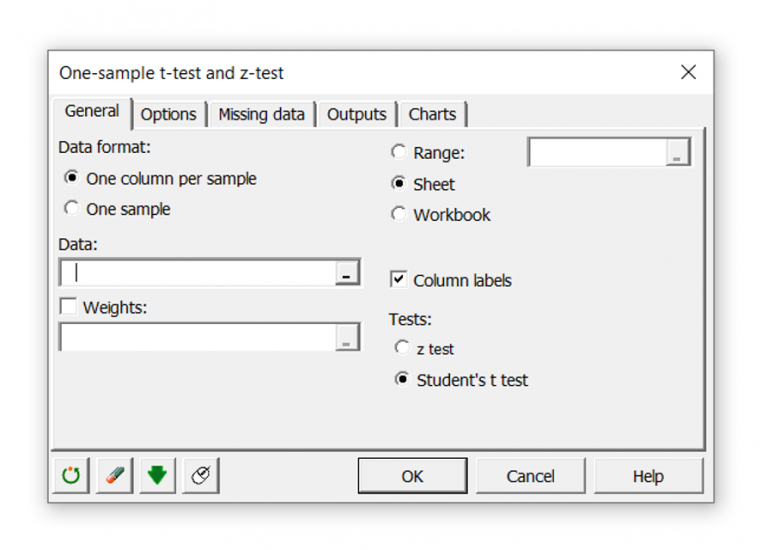 Do it in Excel using the XLSTAT add-on statistical software. This tool is used to compare the average of a sample represented by µ with a reference value. Use the Student's t-test when the true variance of the population from which the sample has been extracted is unknown; the variance of sample s² is used as variance estimator. Use the z-test when the true variance σ² of the population is known. 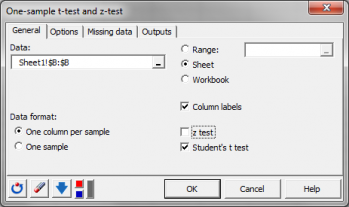 Both the Student's t-test and the z-test are said to be parametric as their use requires the assumption that the samples are distributed normally. Moreover, it also assumed that the observations are independent and identically distributed.